This looks so good. I should try it. I love chili! Lynn, I grew up on it. My dad hunted and my husband does too. You can buy it some places now. Hi, Hilary. I know. Earlier in the week it was so warm and now look at it. The furnace is back on. 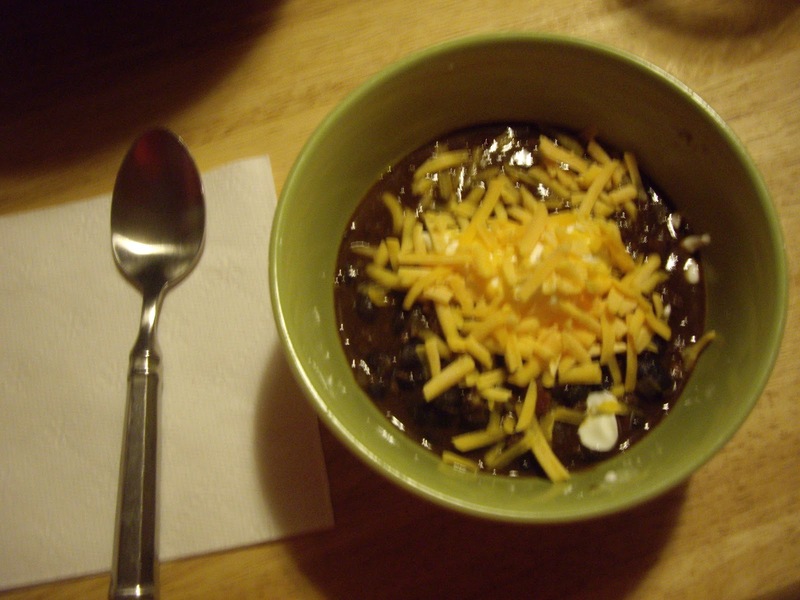 A GREAT CHILI WHEN YOU HAVE DEER MEAT AVAILABLE! I ADD A LITTLE CHEESE AND A LITTLE SOUR CREAM. LOVE IT! Wow Ruth, you've posted another delicous soup for me to try! I'm pretty sure I have a pkg of ground venison in the freezer, so I look forward to trying this recipe. Ruth, I do have a question for you tho… Instead of adding the 2-1/2 cups of water, have you made this soup just adding broth, and eliminating the water all together? Thanks, Domestic Goddess. The original recipe called for broth, water, and red wine. I don't normally keep wine on hand so I used the chicken broth and water. If you want to try it with wine cut down the water to 1 cup and add 1-1/2 cups dry red wine.